‘Of The Ice / Blood Run’. ‘Of The Ice’ offers an eerie yet elegant opening, pairing original vocals with a certain ghostly charm that has become something of a trademark for the producer. Memtrix’s vocals cast a spell that draws the listener in to the many layers of the production, where unique sound design offers something completely new to drum & bass. Hauntingly beautiful yet potent, ‘Of The Ice’ is a charismatic track from start to finish. ‘Blood Run’, the other side of the single, delivers high energy from the start while still creating a certain sinister, almost supernatural atmosphere. 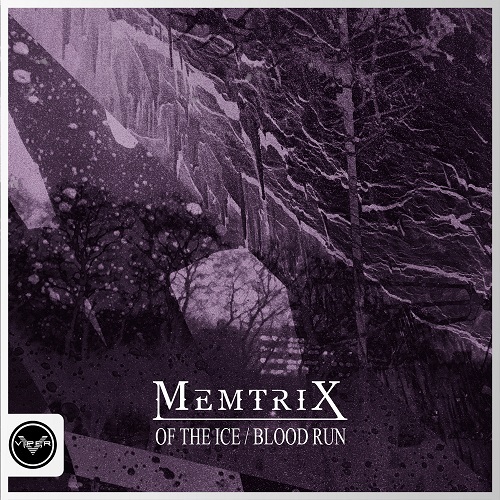 Piercing synths are used in a way we’ve never heard before for a sound that is absolutely spine-tingling; Memtrix’s masterful sound design really shines through and is a strong reminder of his extraordinary abilities. Both tracks speak volumes to Memtrix’s skills as a producer, creating two completely different soundscapes that prove he is a worthy and welcome addition to Viper’s summer catalogue. 21-year-old Oscar Rawlinson, better known as Memtrix comes from a musical and artistic family from Kent, UK, so writing music was instinctual to him, and thus became his only natural path. After playing guitar in a number of bands since the age of twelve, he has taken influence from the likes of Jeff Beck, Radiohead and Lamb of God. darker amalgamation between Madeon, Klaxons, Sub Focus and M83 to name a few.